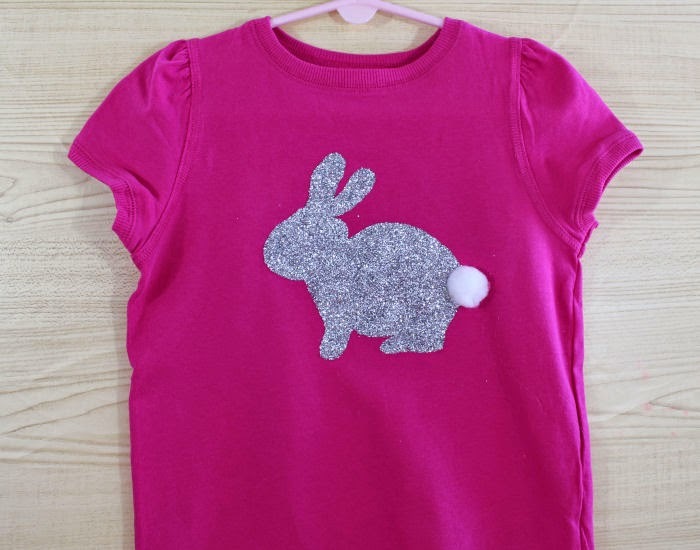 My favorite way to dress up daughter during the holidays is to make different t-shirts for her using iron-ons or stencils. 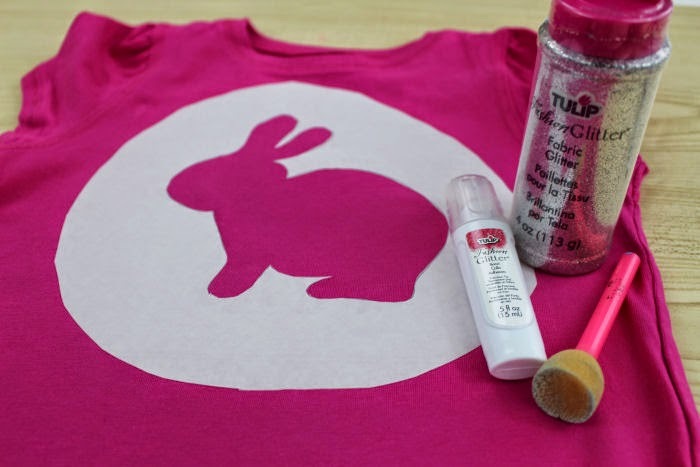 It's so easy to buy a plain shirt for a couple of bucks and just print out a stencil to paint with. 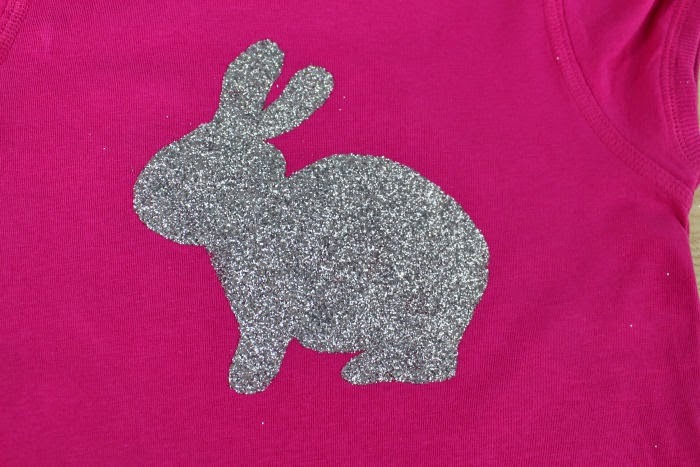 I have done tons of shirts for my daughter by printing out a stencil and tracing it onto some freezer paper. Then I take the freezer paper and iron it on and then use some fabric paint to color it in. I wanted to try something different so I decided to experiment with some glitter glue and fashion glitter in place of the standard fabric paint. First I printed out the printable. Then I placed it on a table and taped down some freezer paper, paper side up. I used a pencil to trace the outline of the rabbit. I took an exacto knife and I cut out the rabbit and trimmed around the stencil. 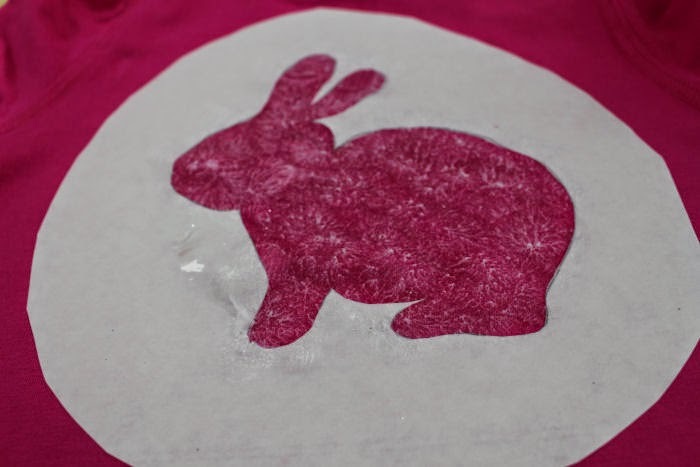 Next I ironed on the stencil to the middle of the shirt and brushed on a nice coat of the glitter glue. I quickly sprinkled on the glitter until it was fully coated. I placed some wax paper on top of the glitter and used the glitter tube to roll it on top to make sure the glitter was stuck onto the glue well. Then I and let it sit for about 5 hours. After that I poured off the excess glitter into a piece of folded paper and put it back into the glitter tube. I carefully peeled off the stencil. I took a white pom pom and used fabric glue to glue it into place where the tail would go. Allow the fabric glue to try completely before putting on the shirt. 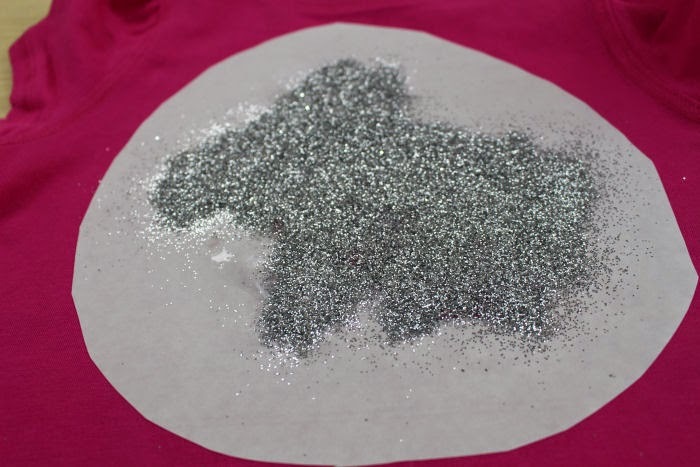 I am not sure how well the glitter will hold up to washing so I recommend turning the shirt inside out and hand washing, being careful not to agitate the part with the glitter. I would also allow it to air dry. Will you be DIY'ing anything this Easter? That is seriously cute. 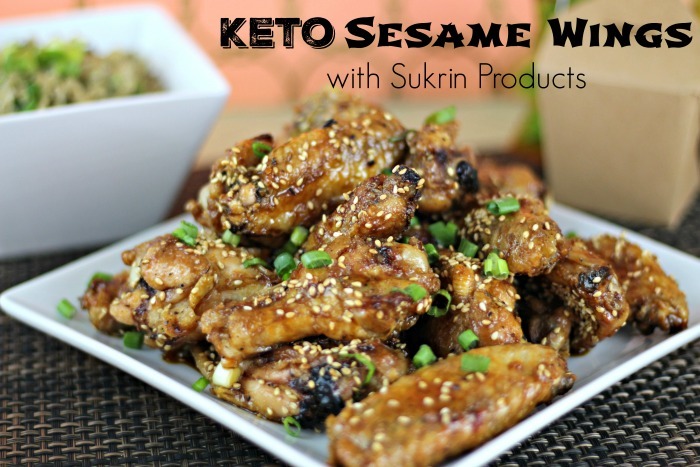 I totally want to make one now after seeing this. I love it. This is sooo stinking cute -- I may just have to try this with my daugher this weekend - she would LOVE It! So very cute - now I'm not a craft type person - but it may be that I could do this as a gift! 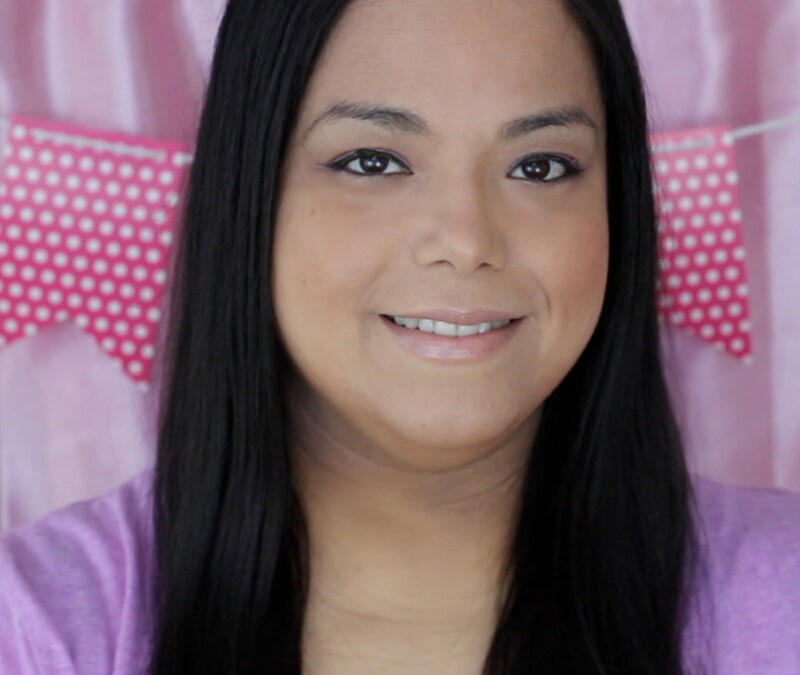 This is so fun, Michelle!! This would be such a great playdate project! 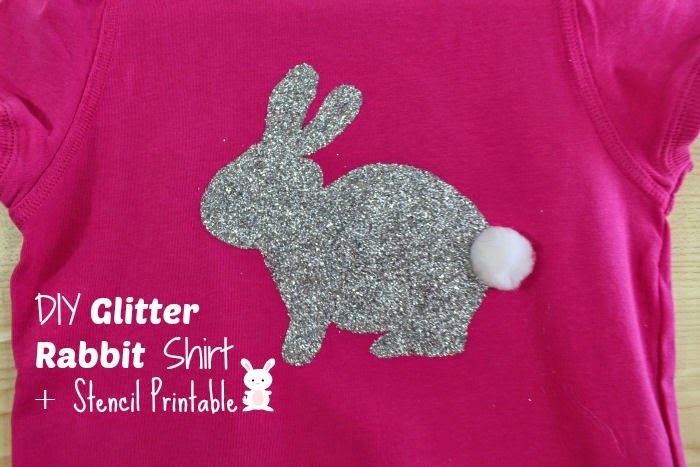 I haven't tried glitter fabric paint, but that is super cute! This is so darling! My daughter would love it! I would wear that myself and it makes me want to try to make one. It's seriously cute! Love this idea. So cute for wearing on Easter! Oh this looks amazing!! I love it so so so much!! I think it's gorgeous!